Oxcyon was named one of only 10 vendors headquartered in the US in this new and emerging $18 Billion market (projected by 2021), alongside Microsoft, Oracle, IBM, Salesforce, and Adobe. “Who would have thought that an underdog software company from Cleveland could rank in the same Gartner Magic Quadrant with software giants? People forget, at one point, Microsoft was an underdog, too, and they leveled the playing field. We’re doing the same thing now,” ” says Samuel Keller, Oxcyon CEO. “Oxcyon levels the playing field by building qualified prospects a high-fidelity prototype of their Digital Experience Platform at no charge before they enter an agreement with us,” says Keller. Centralpoint’s unique N-tiered architecture cascades information to each user based on their audience, region, role and/or attributes. Next, the user’s interactions with that information — clicks, collaboration, tests, orders, edits, or any other action — are stored by Centralpoint yielding valuable business intelligence from each user, giving insight into workflow, usage patterns, anything that can then trigger recommendations or alerts to each user based on that interaction. It acts as a rules engine to manage any conditions across any users, democratizing their interactions simultaneously. Centralpoint’s RESTful Web API allows this captured user experience data to feed or integrate to any back-office CRM, ERP or compliance system(s). “It is the lipstick on the pig, managing all users by any roles, audiences or channels,” says Keller. “Although each organization is completely unique, the need to centralize information to cascade through their many audiences and user roles is not, and the high-fidelity prototyping we provide clarifies this need for clients at our first meeting,” says Keller. 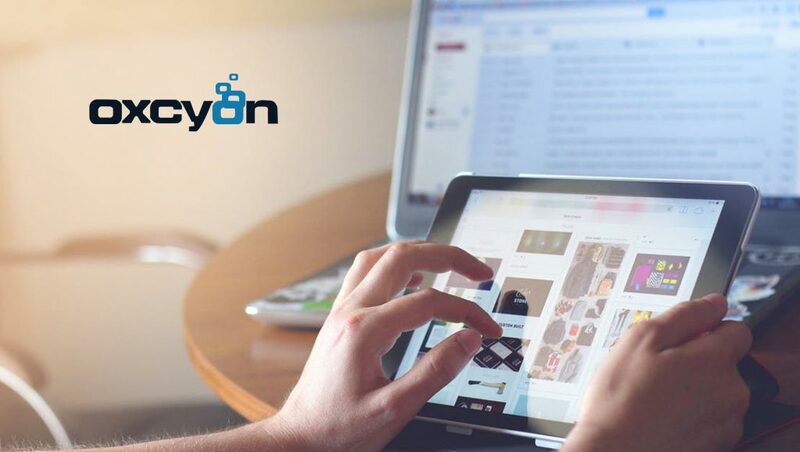 Oxcyon’s bi-weekly (pull) updates allow clients to stay ahead of their competitors and evolve as technology evolves, regardless of where they choose to host. “This approach eliminates obsolescence traditionally found with left-behind applications,” says Keller. “Even though we’re a technology company, we believe modern vendors interested in building long-term relationships with their clients should also be in the risk-management business,” says Keller.